I’ve never been much of a coffee enthusiast nor have I ever dabbled into making my own masala chai at home; it was just never been of interest to me. Every morning, I would head to my local commercial coffee house (Dunkin, Mcdonalds, Starbucks etc) and opt for their most sugary coffee; it’s so bad, its good! And when it comes to chai, we all know that Mum is a pro at that! My coffee-loving friends hate me, but I was adamant in my ways, that is until I was introduced to Pamban, a chai and coffee house. 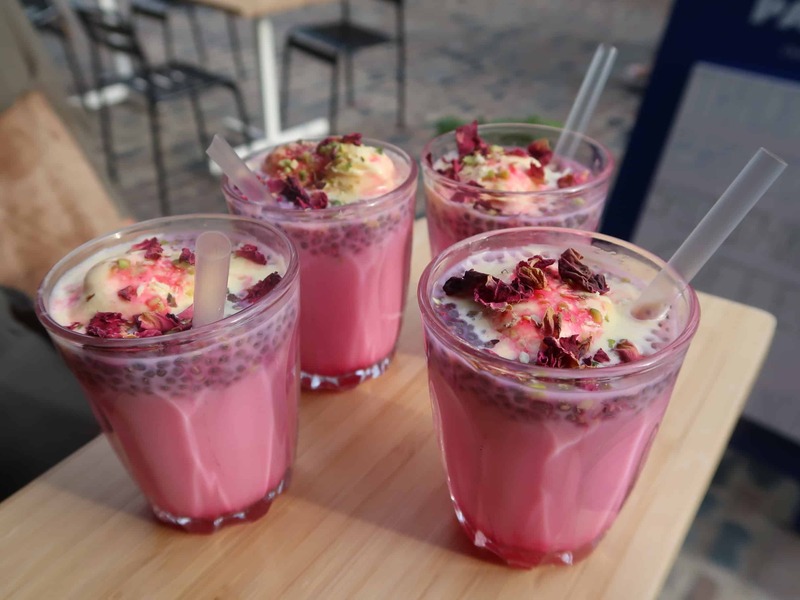 How pretty is this faluda! 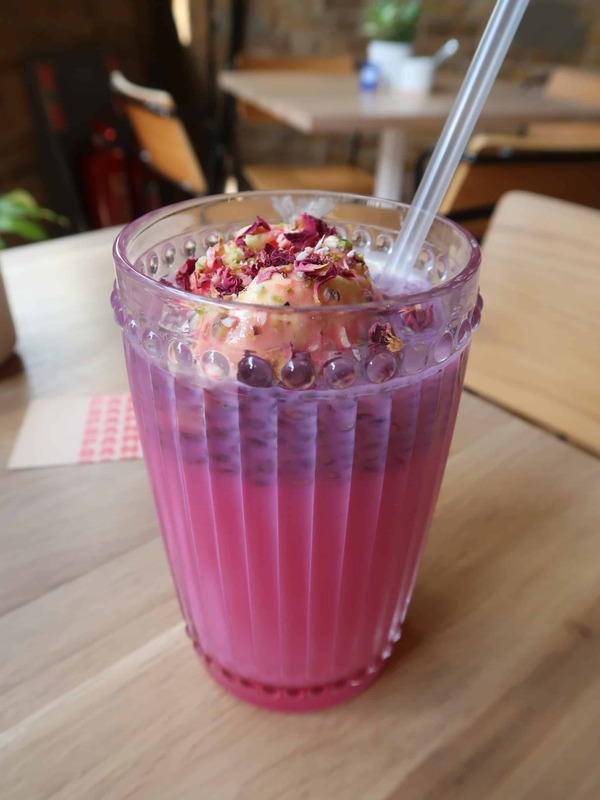 Finding faluda in Central London isn’t the easiest, but Pamban offer a fantastic version finished off with a dollop of kulfi and crushed pistachios. 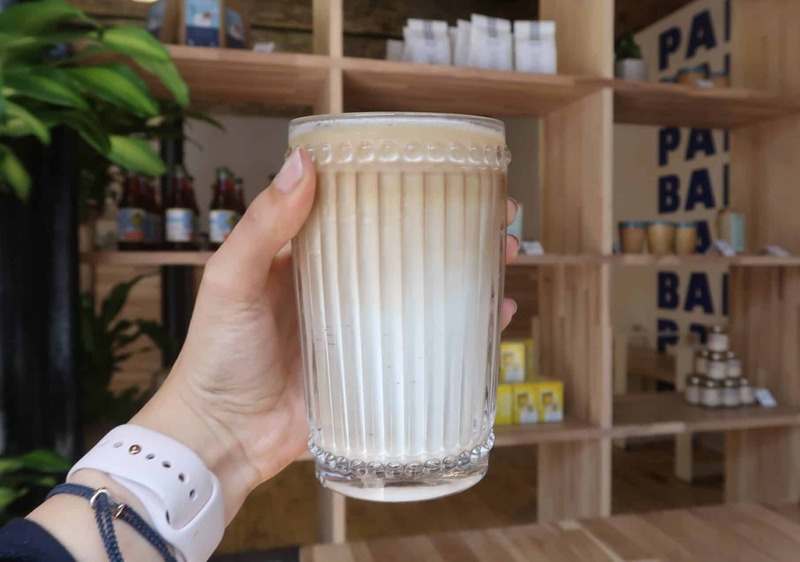 (via @taragww ) The more you have of our Jaggery Milkshake, the more you want! ✨Nothing wrong with having 2 in one sitting..  thanks for the pic, we are so happy you enjoyed it!! Their jaggery milkshake is OUT of this world. Jaggery is unrefined sugar that is sweeter than honey and smooth like caramel, but with a rich molasses flavour, so imagine this blended with thick and creamy ice cream, to give you a Jaggery milkshake! 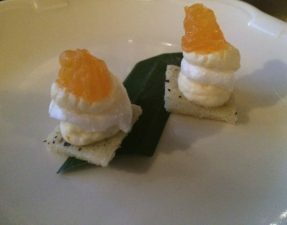 It was incredibly moreish, but did become a little too sweet after a while. Pamban take pride in making their own chai blends in-house and this isn’t just your typical masala chai. They also serve saffron karak (my absolute favourite! ), rose, fudge, lavender, mint, and several more. 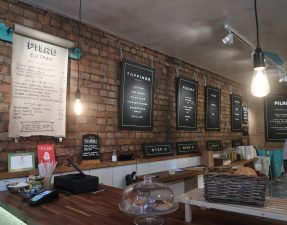 You can opt for their taster platter which has three different chais. Of course it would be ridiculous not to have any food related items on this post right? Well, their small snacks are good, but their lamprais are what you really should be coming for. 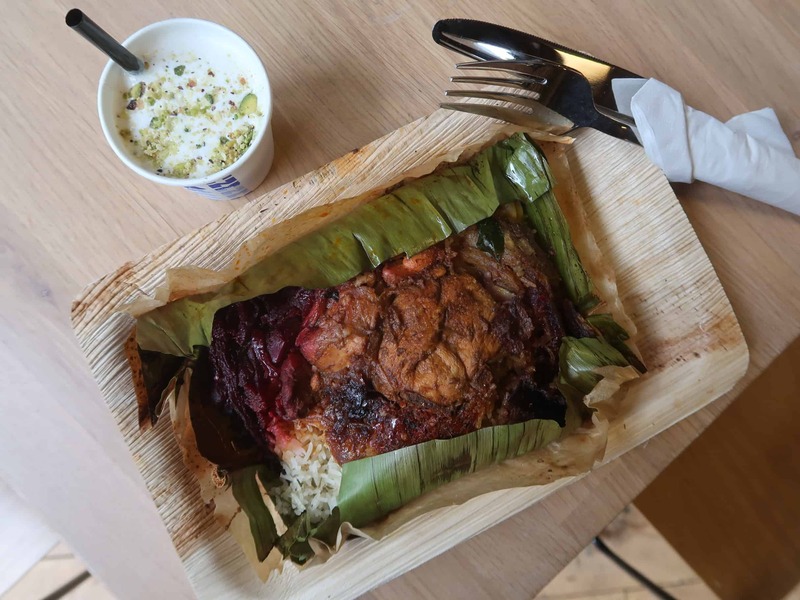 Lamprais is a a typical Sri Lankan speciality made of an assortment of curries with rice, all wrapped in a banana leaf, and steamed. 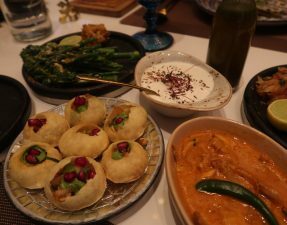 Pamban offer two halal options: the chicken and the mutton, as well as the vegetarian lamprais, and serve this alongside a mini lassi (either mango or coconut). These tend to be extremely popular so you may be disappointed if you get there later in the day. 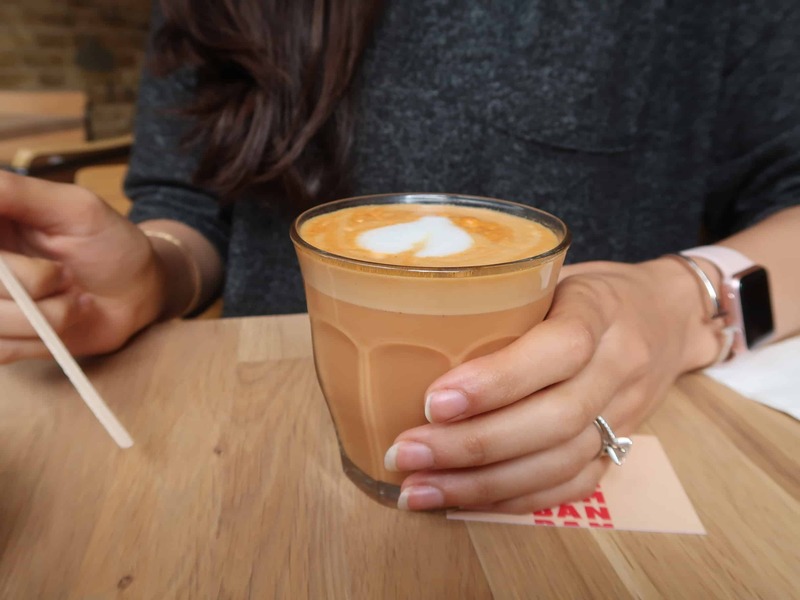 Fancy your hand at making latte art? Or want a little taste of what Pamban is all about? Well, I have teamed up with the guys at Pamban to bring you guys a HGAT chai and coffee masterclass! Taking place on the 19th of October at 7pm, you will learn to secrets behind making a fantastic chai that’ll make Mum proud, as well as making your own latte art. You can purchase your tickets below.